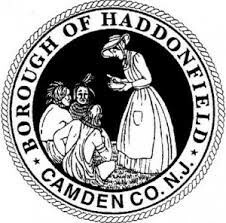 Haddonfield commissioners approved an amended ordinance on first reading at the Tuesday, Nov. 22 meeting that adds handicap parking spots and one loading zone. “What we did is add on handicap parking spaces located on Haddon Avenue at the library, as well as keep the one that was on Springfield Terrace. So this is now the first reading, and there will be a public hearing at our next meeting,” Commissioner Neal Rochford said. The amendment includes the addition of a parking spot at North Haddon Avenue, located at the west side beginning 425 feet south of Euclid Avenue. From a previous ordinance passed in October, two handicap parking spots for the North Haddon Avenue parking lot are also being added. At that meeting, Rochford said the handicap parking spots are already there, but for the borough to enforce them, they need to be put in an ordinance. The loading zone would be located at 321 Springfield Terrace on the north side, starting 235 feet in an easterly direction from the intersection of Springfield Terrace and Potter Street along the northern curb line and continuing 20 feet to its end. Rochford said a family living on Springfield Terrace has a child with special needs, and they have been having trouble getting their child to and from the bus. “We made it a loading zone, so that area won’t allow vehicles to park in front of it, and it will make it easier for the child to make it from the house to the bus service and back again,” Rochford said. The loading zone allows for 15 minutes of stopping for loading or unloading purposes, but no parking. Next month, there is one commissioners meeting planned on Dec. 13 at 7:30 p.m. in Borough Hall, at which the public hearing and second reading will be held. • Commissioners gave proclamations in honor of World War II Veterans Remembrance Month and the 85th anniversary of the Elizabeth Haddon Society of the National Society of the Children of the American Revolution. • Commissioners also approved event permit applications for the Creche Dedication at Library Point as well as the Menorah Lighting Ceremony. The Creche Dedication, from the Citizens for a Christian Christmas, will be on Sunday, Dec. 11, and the Menorah Lighting Ceremony, from the Chabad of Cherry Hill, will be Dec. 28.